Yes those annoying emails have some use finally! I got the email but the voucher code is missing. Just an empty white box? Same! i couldve just done with one too. I wonder if they choose specific types of account or just randomly select them .. I wonder if they choose specific types of account or just randomly select …I wonder if they choose specific types of account or just randomly select them ..
Are the codes universal or one use? Been hunting for a code to use from the previous batch but no joy. Please please let me have one this time, pretty sure I am keeping Argos in business by the amount I spend there . . . Off to check . . I think they send to those emails which u won’t use for buying with them. Going to subscribe using a few emails now. Same, always annoying when I see these things posted and keep checking my emails. Guess we're not worthy. Nothing here, I did get the first code they sent out though. Nothing for me again either on 3 emails! I’ve had emails about the £5 voucher/£10 voucher with spend but no freebie! also just opted into the argos spam. Nothing for me.Not had one yet! I haven’t. If those who do receive them could tell us a bit about their use of Argos website etc that would be good. 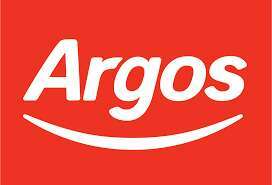 As for me I use Argos maybe once every couple of months and get nothing. I also use quidco. does this have a minimun spend? This newsletter seems to have a different mailing list to the one you get put on just from making purchases with Argos, so you'll need to actually sign up for the proper one. No minimum spend .For use online only. Looks like ive been lucky and had 2 codes from them today. First code came with "Day 5 - reveal today's deal PLUS an extra treat!" (3hrs ago) and the second code came with "Open me to reveal your December voucher" (43 mins ago). I originally missed the october voucher advertised on here so signed up to all alerts. They then sent me a code in November which i used and have made a few purchases after that. I used the free £5 code that was hot on here just after black Friday and now today i have been sent these 2 which i will use. My feeling is it could be the more you buy the more codes they will send you.....i could be completely wrong though. I got the first one in October then nothing since. It seems people are getting advent emails from them,I'm not!